11 registered (Bonesie, Mac39, DavidR, DCH, PaulJ, Wirewheel, dmh, Alistair, JMD, Rog G, TheCustomer), 105 Guests and 12 Spiders online. Can you please offer some advice. Since getting caught out in the rain & using my lights, which I do rarely, my S1 lights won't turn off (front & back) at all, regardless with what I do with the headlight switch unless I disconnect the battery. I have tried using the cut off switch, leaving off for 5 mins & then back on to see if that resets anything, but no joy. Any thoughts - I was thinking maybe a faulty light switch - any idea what car they are off? do the lights turn on by a relay / solenoid and maybe some electronics...sounds like your control board has got wet with the rain....? I have given it a week for the electrics to dry out but still no joy. Maybe I'll try a hairdryer on it. Perhaps I'll also disconnect the switch (if accessible), as if they are still on it would eliminate the switch as a suspect? Ian, I would suspect as the powertrain is obviously BMW then the ECU's and BCU's (body control units) will be CANBUS and quite complex. - to help draw any moisture out of the circuit? I use aerosol contact cleaner on dodgy electrics too - but not sure if I would want it near the ECU;maybe if you could isolate the suspect part.....? To best of my knowledge Series 1 is not Canbus. Try giving Brands Hatch Morgans a ring. They know the early Aeros pretty well and may have a suggestion. All the electronics on the S1 are controlled by the "Bradley" box so I was told. 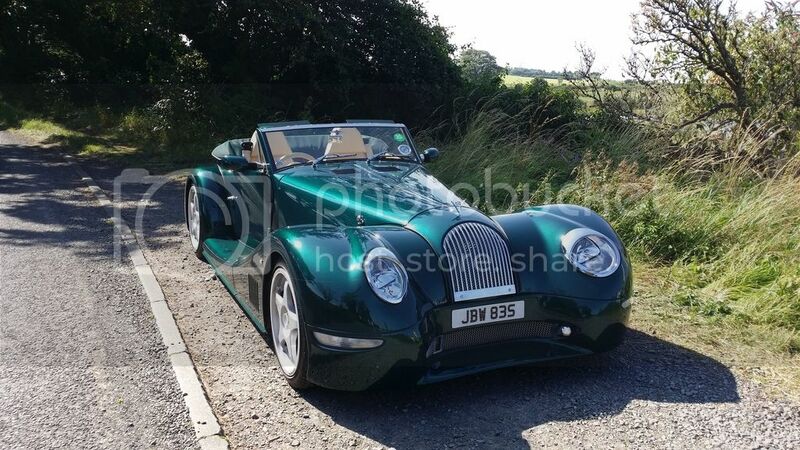 Having had mine replaced it was a nightmare, as its a custom bit of work by Morgan (why couldn't they use the darn BMW stuff is beyond my comprehension) and is now no longer available. As of yet I have found no one who has a clue how to repair the old one (for a spare) either, as its so specialised. - one of the guys on TM had some electronic repair work done (albeit on a Trad.) and was impressed with the work/price. How would you feel about contacting him re. the 'Bradley box' ? If he could repair it, we might be able to get a situation similar to the steering rack where there is always a spare available for exchange...? Not a bad idea - I will have to get in contact and see what they say..